From Woodruff Road, turn on to Smith Hines Road at the traffic light between the Arizona Steak House and Rite Aid. Go exactly 0.4 miles and turn left on to Progress Road. Travel a short distance to the stop sign and turn left on to Pilgrim Road. The second building on your left is 109 Pilgrim Road. You will see a COVINGTON COMMERCIAL REALTY sign on the building and a CASH GUITAR sign beside the door to #109A. Remember 109 A is the door on the left! 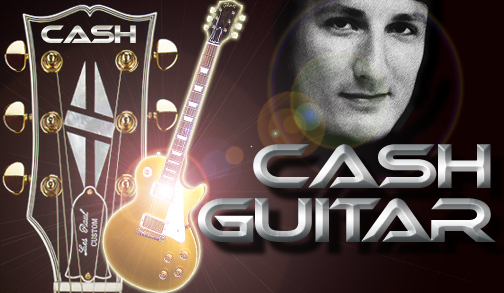 Cash Guitar will be the first room you see down the hall when you walk in the foyer. There is a CASH GUITAR sign on the door. If you get lost, call 979-CASH (2274) and Chris will guide you to the studio.